The Posh Club – progressive working class entertainment for elegant elders. What is the Posh Club? The Posh Club is a glamorous cabaret and high tea for elegant elders and swanky senior citizens. It's for people in their 90s, 80s, 70s and 60s. It is targeted specifically at working class folk who love a good day out, a bit of a knees up, some socialising and access to innovative popular show business. It runs weekly in the afternoon for three and a half hours and ' thanks in part to support from the Baring Foundation ' is soon to have regular seasons in five local areas in the south ' Hackney, Crawley, Elephant & Castle, Brighton and Hastings. Duckie find a vintage church hall, tart it up with a theatre designer and put on a posh event with local volunteer waiters in black tie, a spectacular variety show of singers, dancers, comics, magicians and speciality acts and nice sandwiches, cakes and scones served on vintage china. It is old school glamour and 'hosting' is very important to us. What are you trying to achieve with The Posh Club? We know that older folks often find themselves a bit isolated in late retirement ' their kids might live in a different town, perhaps their partners have passed away, they might be living with different disabilities and health issues ' and we thought that providing somewhere really lovely to go to each week would be a good social glue to bring the community together. We set it up for my Mum really. She was 84 and moved from Hackney to Crawley where she didn't know many people and she wanted to have a good time, put on her best dress once a week and meet people and have a bit of fun. She passed away a couple of years ago, but The Posh Club is her legacy. She liked Tommy Cooper, nice food, a bit of a dance and having a laugh with friends. We wanted to create a club where the club members had real ownership and pride in their club ' they are regulars and come most weeks. Loneliness is an epidemic in contemporary Britain and it's down to us to do what we can to battle that. Why are issues of social class important to consider in creating and producing successful clubs? Duckie like to use the arts to genuinely serve people's lives. Most ordinary working class people don't go to the theatre very often, and we wanted to provide somewhere with magic and sparkle and glamour that people could really look forward to attending and claim as their own place. The short variety shows are popular forms ' music, comedy, dancing and spectacle. We go for good old-fashioned entertainment and a few surprises. Dressing up and dancing between the acts is encouraged and we are very accessible and safe for people with dementia. The commercial world doesn't provide much for vulnerable people and we like to provide something that has the high standards of a posh place like the Ritz or a 1950s cabaret club that encourages people to switch the telly off and seek some adventure ' a warm afternoon and a bit of pressing of the flesh. How do the finances of the project work? The price is important ' it's a fiver including all food, drink and entertainment, even a glass of bubbly, so we are grateful to receive funding to support the clubs. The clubs are usually supported by a mix of funding from the Big Lottery, the local council, private trusts, a bit of internet crowdfunding from friends and fans and the Arts Council. 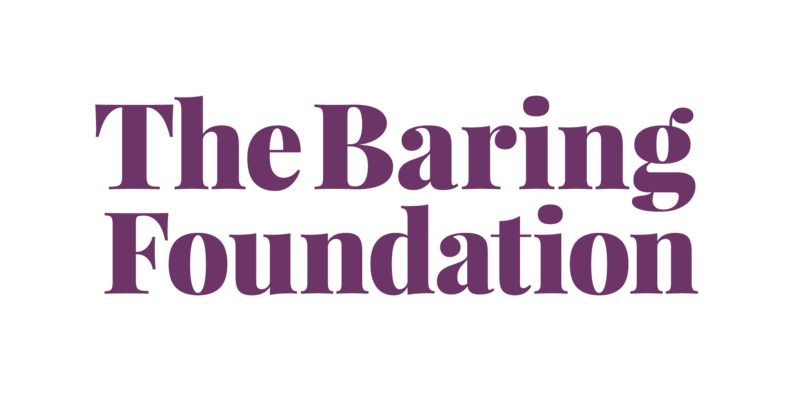 We are very grateful to the Baring Foundation for supporting the work. Each club has about 6 part time staff and about 8 volunteers who work once a week. There are normally three performances each week ' anything from a soprano to an Elvis impersonator, a Bollywood dance troupe to a jazz band ' and a charismatic host and DJ who holds it all together. We have big ambitions for The Posh Club. We'd love to roll it out into every town in the UK, we think there is a need for it and a desire. Each club reflects the diversity of the area, so the Hackney club is currently 70% Black and Asian and the Brighton club will be quite LGBT as there are lots of gay older folks there, but it's all in the mix really. We see our job as theatre producers and social engineers bringing communities together. It's a popular theatre, a posh tea bar and social club. We are just about to launch a longitudinal study with Queen Mary University of London and the NHS to gather evidence that The Posh Club is good for people's health and could potentially save the health service a few bob in the future as a tool to keep people healthy, happy and active ' well into their 80s and 90s. We have a few club regulars who are living wonderfully healthy long lives ' Gladys is 104, Nellie is 105 and the fabulous Irene is 108 years old! We frame it as being for people from working class backgrounds ' although we don't make a big deal about that our local promotion to the audience as we want it to be aspirational and we don't want to put people in boxes. We just understand and relate to working class audiences and we want to serve them.